I am late to the quinoa party. Really late. I kept hearing about all of the great health benefits and finally bit the bullet and bought my first box of quinoa. 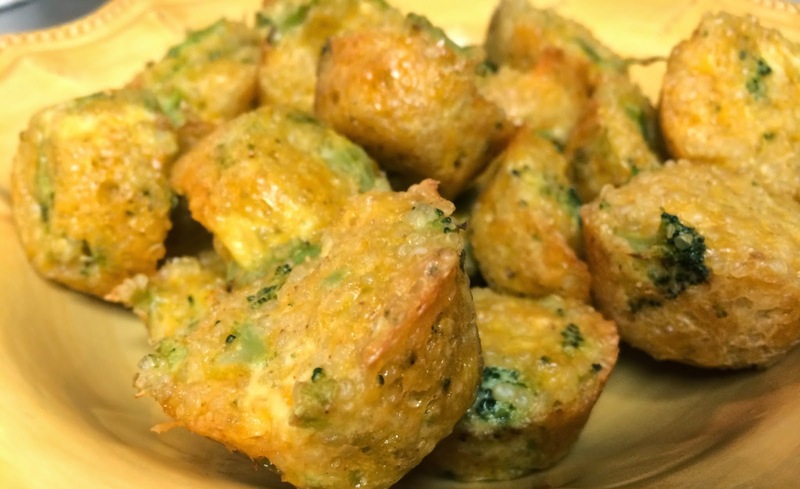 I found a recipe for broccoli cheddar quinoa bites and decided to give it a shot. I modified it and created great little protein-packed snacks or a nice side dish for a weeknight meal. This recipe is a keeper! 2. Cook quinoa according to package instructions. Set aside to cool. 3. In a large bowl, combine cooked quinoa, eggs, broccoli, garlic, cheese, and paprika. 4. Fill muffin cups with quinoa mixture. Bake 15-20 minutes or until edges are golden brown. 5. Remove from oven and let cool for 5 minutes. Remove from muffin tins and continue cooling before serving. I actually don't think I've ever had quinoa before! These look delicious though and might be a good way to try some out! I'm going to try this. I bought quinoa as well and I just couldn't find recipes that I liked. Maybe I didn't look hard enough. I was about to give the quinoa to a friend, but I'll give this recipe a try. Yes please!!! Haha these look amazing. Oh.My.Goodness! I saw these as I was scrolling down my blog list and I'm like, I gotta make these! There is quinoa in my waiting to be made! Thank you for the idea! these look good. I love me some broccoli. Ooh these look really yummy, Chelsea! I'm trying to get Zach into more of the healthy eating mode so I'm definitely going to try these out soon! Thanks for sharing, girl! I just love your recipes! These look DELISH! I've eaten quinoa, but have never cooked with it. I may have to give it a try soon! I'll be pinning this so I can make it after we move. Right now we are in "clean out the pantry, refrigerator, and freezer" mode!